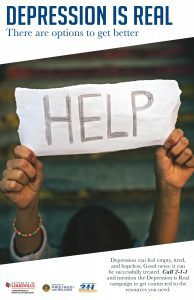 Beleaguered in part by racism, stress, violence and economic strain, African-Americans often grapple depression.With help from U of L’s School of Public Health & Information Sciences, a new health literacy campaign looks to aid African-Americans in coping with depression by raising awareness. 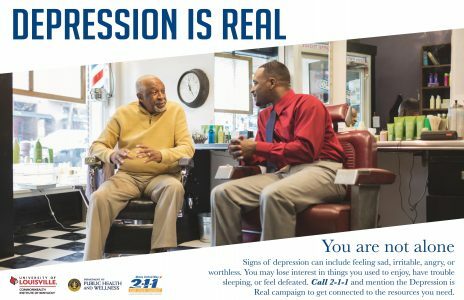 “The Depression is Real” campaign targets African-Americans in West Louisville, reducing stigma surrounding depression through ads and outreach. 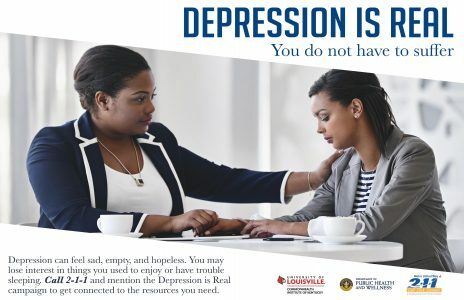 Ads will circulate on posters, TARC buses, social media, radio and public outreach, connecting West Louisville residents with local behavioral health providers. Public health assistant professor Ryan Combs is helping lead the campaign. Combs says one in 10 African-Americans face depression, but a lack of awareness causes missed diagnoses of the illness. A 2013 Pew study affirms Combs observation, noting 46 percent of black respondents said there’s a lot of discrimination against African-Americans. 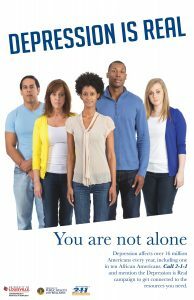 Comprised of community members, public health professionals, academics and graduate students, campaign ads hope to encourage treatment. A grant from Jewish Heritage Fund for Excellence funded the project, which began developing in April. The campaign runs through Dec. 25.